The cream of the crop. A Main Force Patrol Interceptor Unit usually consists of one Senior Patrolman, a Patrolman or Patrolman specialist and one Interceptor vehicle. They typically operate on a Three Day Patrol schedule, patrolling their assigned sector, and answering specific calls for assistance which would require a Senior Patrolman, or calls for assistance from fellow MFP officers. Interceptor units are crewed only by the very best that the Main Force Patrol as to offer. 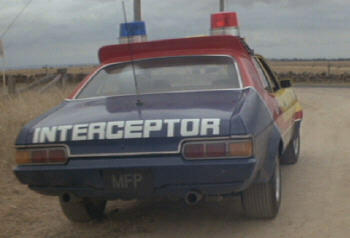 In some cases, an Interceptor may be on patrol with only a Senior Patrolman. In these instances the unit will only respond to specific calls and requests for assistance from MFP officers. The Interceptors are the Final Answer for difficult pursuits.